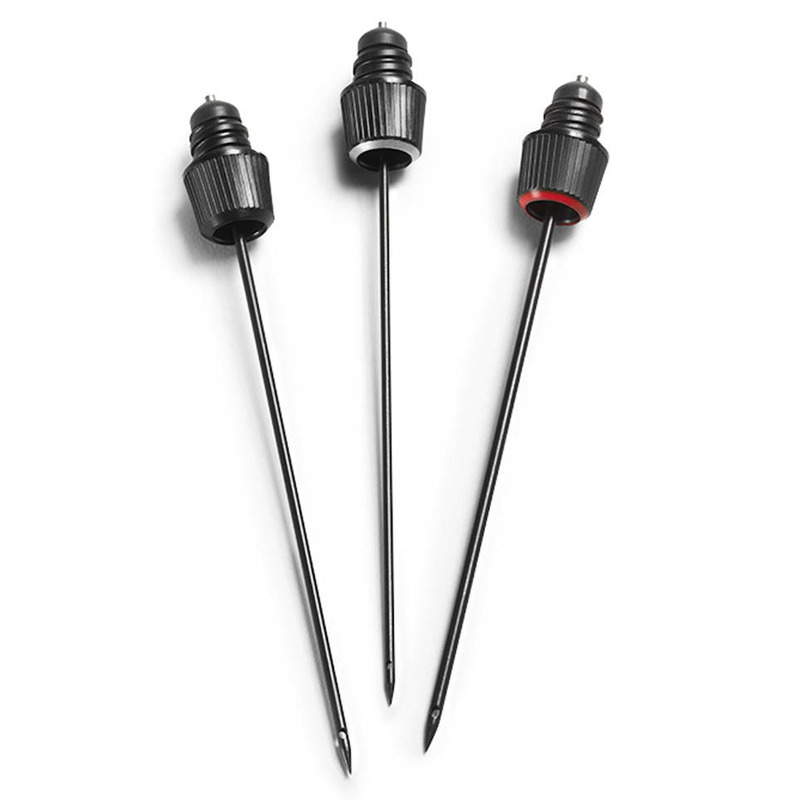 Coravin Needles consist of three different Coravin Wine System needles, providing you with a needle for any bottle or situation. All Coravin Wine System Needles are stainless steel and Teflon™ coated, providing durability and easy insertion for over hundreds of pours. - Faster Pour Needle: a slightly wider gauge, this needle will pour a glass of wine more quickly from bottles with corks that are in good condition. - Vintage Cork Needle: with a slightly thinner gauge, this needle is designed to access the older bottles in your collection that may have a fragile or delicate cork. - Standard Replacement Needle: the same needle that comes standard with each Coravin System, this needle can replace your original needle should it become worn or misplaced. Με ελαφρώς λεπτότερη διάμετρο, η βελόνα Coravin Vintage Cork έχει σχεδιαστεί για τα παλαιότερα μπουκάλια σας που μπορεί να έχουν εύθραυστο ή λεπτό φελλό. Με ελαφρώς μεγαλύτερη διάμετρο, η βελόνα Coravin Faster Pour σερβίρει ένα ποτήρι κρασί πιο γρήγορα, από φιάλες όπου ο φελλός είναι σε καλή κατάσταση.